I need a nurse cake STAT! Guest instructor Shannon Mayes is back with another lovely cake for the medical professional in your life. 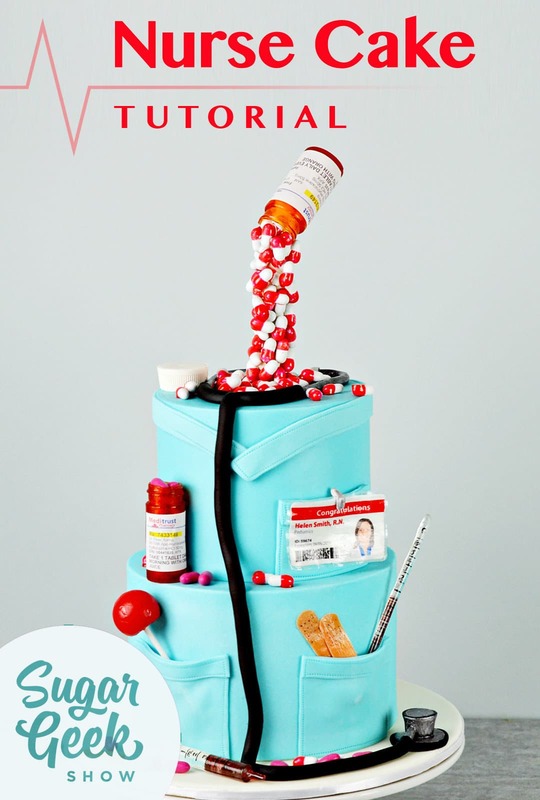 Featuring edible candy pills, edible bottles, a realistic syringe, stethoscope, edible band-aids and a cool medical ID badge, there’s something in here for every practitioner. This design was originally created by Sarah Myers of High Five Cakes and we just love it!